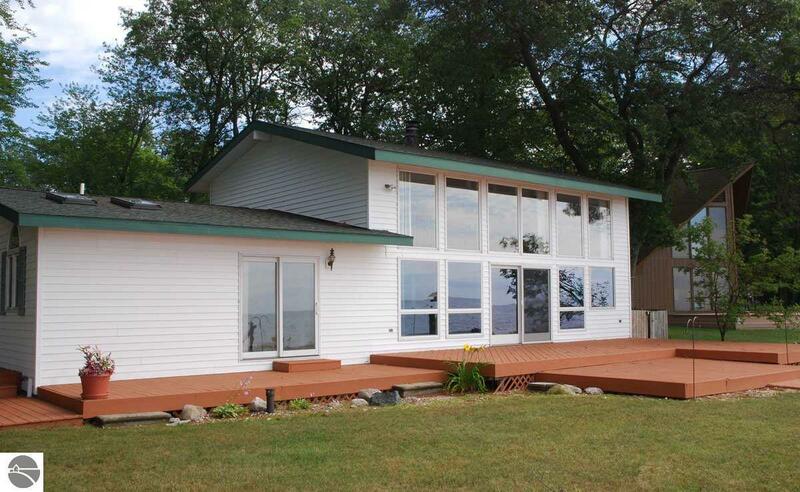 Immediate occupancy on this fine new offering on Lake Huron sandy beach. 3 bedrooms including a main floor master suite complete with a door wall overlooking the lake, two skylights and a huge, lighted walk-in closet. Master bath leads to the over sized laundry room with newer stacked washer and dryer. Expansive windows make up the entire lakeside wall of the home for endless views. The enormous living room has a cozy gas fireplace and wet bar. The main floor also features an office/den with ample closets that could be used as a bedroom. The upper level contains two generous sized bedrooms with a 3/4 bath in between plus a catwalk overlooking the lower level. Beyond spectacular lake views from that vanishing point as well. Exterior features a two car detached garage and a steel carport for boats, rv or just overflow parking. Water frontage is second to none with pure sugar sand in addition to being situated in a well established area of maintained homes. It's the perfect time to buy your vacation home and make it just the way you want it by summer!